Most Americans probably don’t know that the Uniform Monday Holiday Bill that Congress passed and President Lyndon B. Johnson signed into law in 1968 is why we celebrate Presidents’ Day on the third Monday in February. That legislation changed the longstanding tradition of celebrating two exemplary American presidents’ birthdays on separate days in February — the first president of the United States, George Washington, and the 16th president, Abraham Lincoln. The whole saga is documented on the National Archives website and reveals that the official federal Presidents’ Day holiday was the result of lobbying by and the unusual partnership of big business and labor unions. Before 1971, Washington’s Birthday was one of nine federal holidays celebrated on specific dates, which—year after year—fell on different days of the week (the exception being Labor Day—the original Monday holiday). Then came the tinkering of the Ninetieth Congress in 1968. Determined to create a uniform system of federal Monday holidays, Congress voted to shift three existing holidays to Mondays and expanded the number further by creating one new Monday holiday. Washington’s Birthday was uprooted from its fixed February 22 date and transplanted to the third Monday in February, followed by Memorial Day being relocated from the last day in May to the last Monday in May. One newly created holiday—Columbus Day—was positioned on the second Monday in October, as Veterans Day—ousted from its November 11 foxhole—was reassigned to the fourth Monday in October (although rebellion by veterans’ organizations and state governments forced the 1980 return of Veterans Day to its historic Armistice date of November 11). That Washington’s birth date—February 22—would never fall on the third Monday in February was considered of minimum importance. After all, who could ever forget all that George Washington meant to this country? 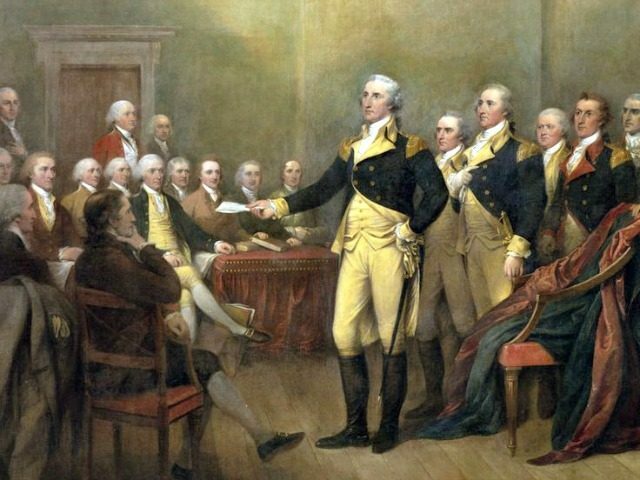 Author Arbelbide calls Washington the first “American Idol” and explains why in 1879 the Forty-fifth Congress thought Washington — who served as president from 1789 to 1797 — was worthy of having his birthday named a national holiday. Fast forward to 1968 when the Congressional Record argued that moving holidays to Mondays would give Americans more time to enjoy friends, family, and leisure activities. It also noted that workers would be more productive if a holiday did not fall mid-week. Here are the groups that lobbied Congress in favor of the Monday holiday bill: the U.S. Chamber of Commerce, the National Association of Manufacturers, the National Association of Travel Organizations, and the National Retail Federation. In other words, big business and labor unions. Rep. Robert McClory (R-Ill) supported the bill. “I would say the primary purpose, as far as I am concerned, is this: It will provide more opportunities for family togetherness and more opportunities for people to visit the great historic sites of our Nation, such as the great Lincoln country of Illinois, Williamsburg, Yorktown, Washington, D.C., Mount Vernon, Gettysburg, and a number of other historic places which we associate with these great national holidays,” McClory said. Rep. Harold Gross (R-IA) did not support it. ”I have an idea if we make Monday holidays, to fulfill the promise to merchants that they are going to do a better business, that employees of the stores of this country will have no holidays. They will work at selling merchandise. That is about what will happen,” Gross said. “Let me say generally that the labor unions are in support of this legislation,” McClory said. “I am not impressed by that,” Gross replied. One modern-day Republican did try to bring back Washington’s February 22 birthday as a separate and unique national holiday, as well as that of Lincoln. Former Rep. Rosco Barlett (R-MD) started his effort in 1999, and it was reintroduced each session, including its reintroduction in 2001 as the Washington-Lincoln Recognition Act. “A generic Presidents’ Day diminishes the accomplishments of America’s greatest presidents, George Washington and Abraham Lincoln while rewarding the mediocrity of others,” Bartlett said in a statement and Fox News reported in 2005. “Bartlett said Washington’s name and image have been diluted by advertisers and others who call the holiday ‘Presidents’ Day,’” Fox News reported. In her second article on Washington’s birthday, Arbelbide wrote what she offered her advice to Congress. “Or contemplate how their annual congressional February ritual of reading Washington’s ‘Farewell Address’ came about,” she wrote. ”I think the time has arrived when we should recur back to the days, the times, and the doings of Washington and the patriots of the Revolution, who founded the government under which we live,” Johnson said.